Researchers at MIT have implanted false memories into the brains of mice, causing them to be fearful of an event that didn’t actually occur. This is a very important study that demonstrates just how unreliable memories can be, and goes a long way to explaining why humans regularly recall things that didn’t actually happen — such as alien abductions, or when giving eyewitness testimony that they believe to be true, but is actually a false memory. This breakthrough comes from the same team that discovered that memories are stored in individual neurons – and the process of implanting (or “incepting” as the researchers call it, in a homage to the film Inception) false fears is essentially the same, but with a vital extra step added to the end. The researchers place a mouse in a brand new environment. 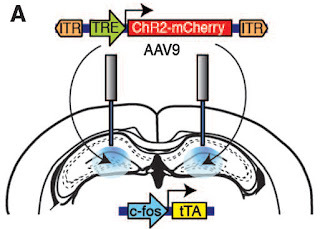 As the mouse explores this environment (Place A), new memories are created in the hippocampus (the region of the mammalian brain that we know is deeply involved with memory formation). In Place A, the mouse has the time of its life. The mouse is then relocated to a different environment (Place B). 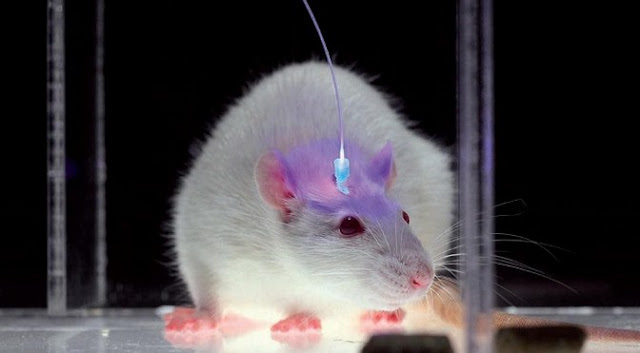 While in Place B, the neuroscientists stimulate the memory of Place A using optogenetics (more on that below), while simultaneously delivering electric shocks to the mouse’s feet, causing fear and pain. Then, when the mouse is returned to Place A, it freezes in fear. This is because the mouse’s brain has somehow confused the fear of electric shocks in Place B with its memory of Place A — in other words, a false memory has been created. Optogenetics is, as the name suggests, meddling with the genetics of cells so that they are sensitive to light. 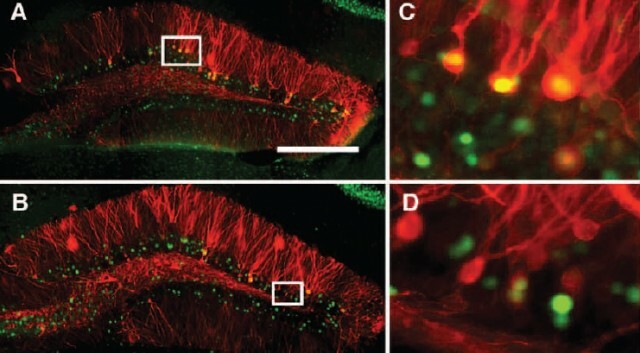 In this case, the MIT researchers used a virus to infect the neurons in the specific region of the hippocampus where Place A memories are formed. This virus changes the neuron’s DNA so that they produce a protein switch that is sensitive to light. 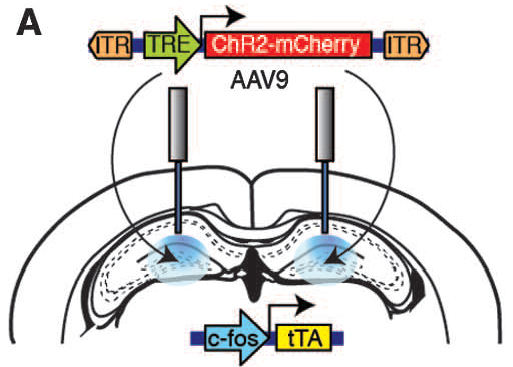 Then, when these neurons are struck by light (a hole is drilled in the mouse’s skull and a laser is shot into that region of the hippocampus), the memory is turned on. Optogenetics is one of the most exciting developments in neuroscience as it allows us to interact with very specific regions of the brain in vivo — in living, breathing, memory-forming test subjects. Now, freezing in fear isn’t on the same level as the elaborate false memories that humans sometimes conjure up, but it shows incontrovertibly that false memories can be created — and, more importantly, that the physiological process of creating and recalling false memories and real memories is very similar. This doesn’t explain how we create such fantastical false memories as being abducted by aliens, but it does explain why we so vehemently believe that these memories are real. More research is needed, but it seems that, as far as we’re concerned, false and real memories are both equally real. The next step, of course, is to actually do something with these findings. The research group would like to use its memory manipulation technology to fix/treat undesirable brain function, such as anxiety and depression. Being able to delete or reprogram bad memories, a la Eternal Sunshine of the Spotless Mind, would probably make short work of many mental woes. Perhaps more excitingly, though, is the potential to directly encode new memories into our neurons — kind of like when Neo learns to fly a helicopter in The Matrix. That’s probably a few years away yet, though.